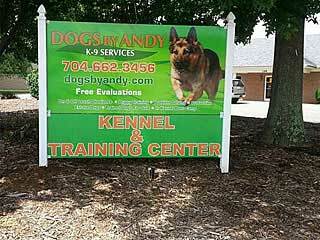 North Carolina’s Top Dog Trainer, now with two locations to serve you. 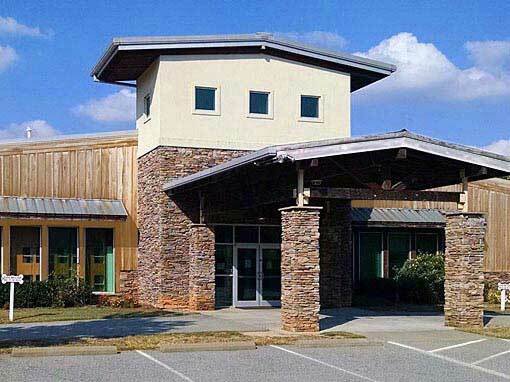 Visit us in the Charlotte Metro at our Lake Norman facility or in the Piedmont Triad at our Greensboro facility. Our Lake Norman Kennel and Training Center is conveniently located 20 minutes north of Charlotte, near Downtown Mooresville. This facility was designed by professional dog trainers to ensure a safe, fun and clean environment for your pet so you can go on your way and trust your pet with us. 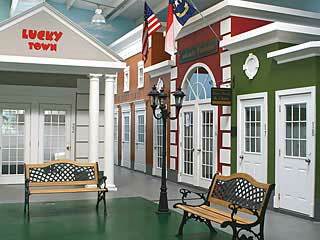 Dogs By Andy is “lucky” to open our second training facility at Lucky’s Pet Resort and Day Spa in Greensboro, NC. Lucky’s has been serving the Piedmont Triad area since June 2004 and has strived to provide pet owners in Greensboro with the best boarding, daycare, and grooming experiences for their pets. Board your dog in our state-of-the-art kennel. On-leash and off-leash training for your dog. Trained dogs for sale by Dogs By Andy. Shop online for leashes, kennels, accessories, and more. Andy Hanellin has been a professional certified dog trainer for over 30 years and is recognized as a qualified instructor by the AKC. Andy is also a certified expert in K-9 Law, and a qualified expert witness for court cases involving Narcotics, Explosives and all other K-9 Related cases. Find out more about Andy and his mission as a dog trainer in this video. Dogs By Andy Kennels is an all-inclusive, full-service overnight canine boarding facility. Our custom-built facility was designed from the ground up to provide a safe and fun place for your pet. Dogs By Andy teaches basic commands that are necessary for your dog’s safety and the well-being of people and other animals. A well-trained dog becomes a functioning member of your family. Shop our online store for useful training accessories, custom-made Dogs By Andy gear, handmade leashes and leads, place boards, and more. We can ship most items from our retail store to your door. It is impossible for your dog to SIT and jump on a person at the same time. As your dogs responds to the DOWN and STAY commands, you can enjoy being in the same room with your dog without interfering with your mealtime or guests. If your dog is trained to SIT and STAY, it can not run out the door into traffic. When your dog that obeys the HEEL command, the dog will not constantly pull on the leash and pull you down the street. Teach your dog to go to and stay at a pre-determined “place” within the house. Useful when entertaining or when delivery people are at your door. Dogs By Andy K-9 Services provides professional dog obedience training and behavior modification services for dog owners throughout the Lake Norman and Charlotte metro area. Ask about our BOARD AND TRAIN program. Free evaluations available. Dogs By Andy has two locations to serve you. Visit our original facility in Mooresville – serving the Charlotte Metro area – or our new location in Greensboro – serving the Piedmont Triad. Serving the Charlotte Metro area. Serving the Piedmont Triad area. Our Board & Train program is available at both locations.